Steroid use is an international problem. Â We must get our collective heads out of the sand and realize that this is a problem that is real and it is NOT going away. Â And it will certainly not go away if we don’t stand up and take a strong stand against it. 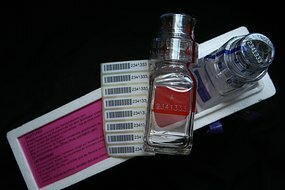 Customs investigators in Germany have reportedly seized a record haul of performance-enhancing drugs designed for illegal doping in sport. Anabolic steroids were among the drugs worth millions of euros, found in a warehouse in the central German state of Hessen. Local television has reported the ampoules and tablets had come from illegal labs in Europe, India, Pakistan and China. Dozens of suspects have been arrested in Germany and Austria. Investigators believe the drugs were posted internationally and trafficked via mail-order websites.